The Classic Cupcake Co. is a Cupcake and Cake shop in Sydney providing fresh, beautiful, quality treats for corporate clients and birthday parties across Sydney. Specializing in corporate branded cupcakes, custom cakes and cupcake classes. The team are dedicated to baking and providing excellence at every level. 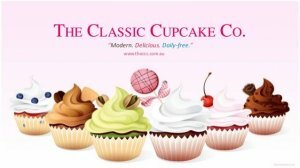 This is an experiential bakery in Mosman where you can watch your cupcakes being baked, join the cupcake Academy and even sit and enjoy eating the many cupcakes and treats that are on offer each day.